When troubleshooting certain issues, Avast Support may ask you to provide a complete memory dump from your PC. A complete memory dump is not generated automatically, and is usually requested if a kernel memory dump or small memory dump do not help resolve the issue. Follow the steps in this article to generate a complete memory dump in Windows on systems which are not completely frozen. Log into Windows as an Administrator, or as a user with administrator permissions. 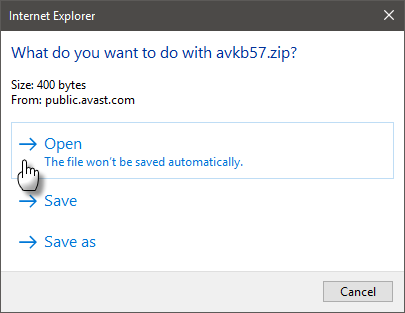 Download the avkb57.zip file and click Open. 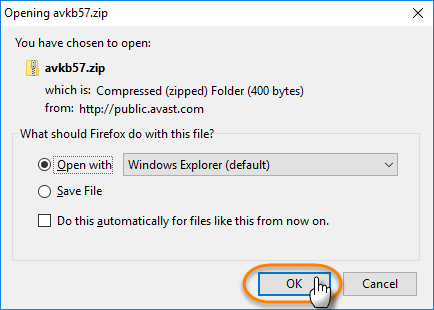 Download the avkb57.zip file, select Open with, then click OK.
Download the avkb57.zip file and, at the bottom of your browser, click the arrow next to the file name and select Open. 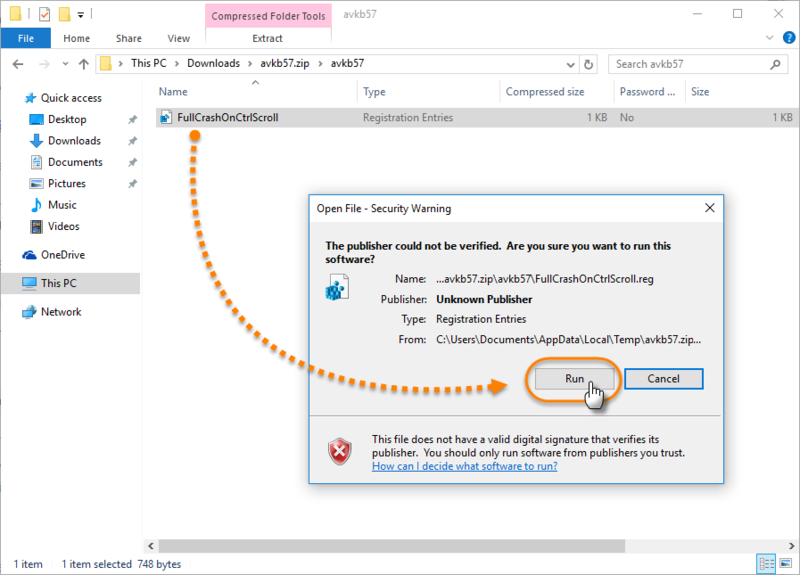 Double-click the avkb57 folder, then double-click the FullCrashonCtrlScroll.reg file and select Run in the Security Warning dialog. When prompted, click Yes to allow the application to make changes to your PC. 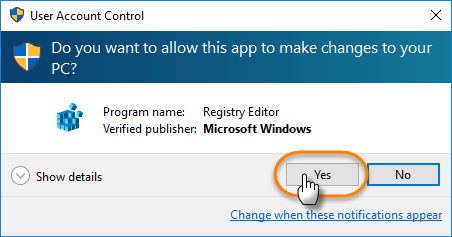 Click Yes, then OK to apply the necessary changes to your Windows registry. Restart your PC, log into Windows with administrator permissions, and wait until the system or program freezes again. Manually force a Windows crash by holding down the CTRL key on the right side of your keyboard and pressing the Scroll Lock key twice (right CTRL + 2x Scroll Lock). 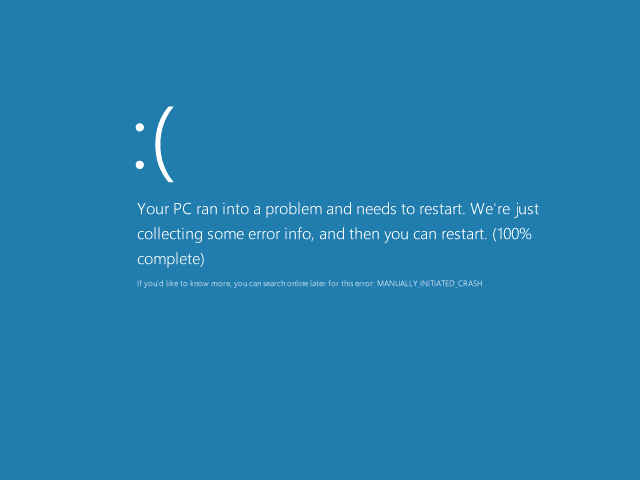 A blue screen appears (the "Blue Screen of Death"). The system generates a memory dump (progress is indicated in percentage) and restarts automatically. If your PC does not restart automatically, restart your PC manually by pressing the Reset or Power button. Log into Windows with administrator permissions and locate the MEMORY.DMP file in C:\Windows (by default).